216,00€ tax incl. 129,00€ tax incl. Buy your I'M SOLAR 270 P glass-glass solar panels from the I'M STRONG series online at the best price. The I'M SOLAR panels are the only glass-glass panels with a 30-year warranty. The two glass plates enclose the polycrystalline cells. This high technology erases the PID effect. The panel's service life is 50 years minimum. Glass is a better heat conductor than plastic (material used on standard panels). These panels operate at lower temperatures and increase your electricity production. The I'M SOLAR glass panels are robust, efficient and qualitative. Dual-glass panel: I'M SOLAR 270 P glass-glass have solar cells enclosed between two identical thick glass plies which protect them against extreme weather conditions and increase service life. High efficiency: These glass-glass solar panels produce more kWh than standard solar panels. 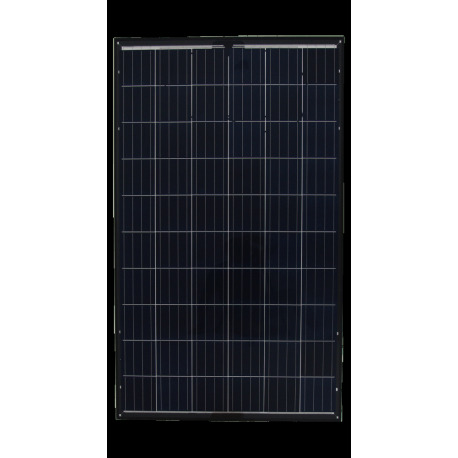 For equivalent power, these solar panels will offer you a better performance of your installation. 0-5W positive tolerance: I'M SOLAR 270 P glass-glass solar panels range between 270 W and 275 W. Precious additional wattage to optimise the performance of your solar installation. 30-year guarantee: I'M SOLAR is one of the only manufacturers to guarantee its solar panels for a 30-year period. I'M SOLAR guarantees an output power of 90% after 30 years of use. The aging test evaluates the panels' service life at 50 years minimum. European manufacturing: I'M SOLAR solar panels are manufactured and assembled in Vilnius, Lithuania (Europe). Complete protection: I'M SOLAR 270 P glass-glass panels offer a complete protection for all possible cases. They are protected against ammonia exposure and can be used for installations on farms or on agricultural buildings. I'M SOLAR solar panels are also treated against salt corrosion. They can be installed by the sea without any risk for damage or performance degradation. They are also protected against the PID-effect which decreases the solar panels' productivity. I'M SOLAR cells undergo a special chemical treatment which protects them against the PID-effect for at least 30 years.